Holloway Funeral Home can help you plan your final journey to ensure your wishes are honored and your surviving family members are not left with a heavy financial burden. Your Largo prepaid funeral plan is an act of love for your family members and friends. Holloway Funeral Home offer a dignified way to make sure your family and friends have a remembrance gathering that completely follows your wishes. Our qualified and understanding staff can help you plan the service so it is exactly what you want and lets your family and friends not have to be burdened with making decisions while they are dealing with the loss. Planning for your funeral is not an easy task. You may have lots of questions about the options available to you. Our Remembrance Planners can help you with your questions and assist you with a Largo prepaid funeral plan that ensures everything is done the way you wish. At Holloway Funeral Home, we will work with you to make sure your plan is customized for your wishes and budget. There are many benefits to having a Largo prepaid funeral plan. One of the advantages that many enjoy is it is cost-effective. You plan the burial or cremation and service with the money being put in a trust or insurance policy by the funeral home so it is available when needed. Holloway Funeral Home locks in the cost of your merchandise and services so there is no additional cost to your family. Many people opt to prepay for the funeral to insure their family will not have to endure the financial burden. Another advantage of a Largo prepaid funeral plan is that you get to make the choices. You decide whether you want a burial or cremation. You get decide on all the details and cost of your service. Just use our online pre-arrangements form below and you can plan as much as your feel comfortable with from the comfort of your home. Once you have completed that, you can contact one of our remembrance planners who will be happy to help you complete the arrangements. You have peace of mind, knowing your services are already planned and will be taken care of when the time comes. With a prepaid funeral plan, your family is relieved of having to make any choices. It stopes family members from wondering, “Is this what they would want?” or “Did we do the right thing?” Preplanning will also diminish problems or differences of opinion, which often can occur within families. Everything is already planned to honor your individual beliefs and choices so there is no need for family to try to figure out what you wanted. It is already done and they do not have to make big decisions during an already difficult time. Holloway Funeral Home has been helping residents with their Largo Prepaid Funeral Plan for over forty years. 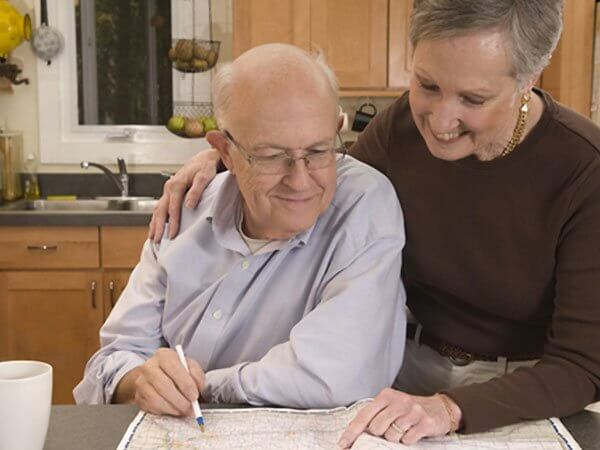 We have professional remembrance planners who want to help honor wonderful lives with the experience to make sure it gets done the way you want it. You can get started by clicking the link below for our online forms, call us or come by and visit us at our Oldsmar funeral home. No matter how you prefer to communicate we are more than happy to oblige.